Açaí is the most popular fruit of the Amazon region. 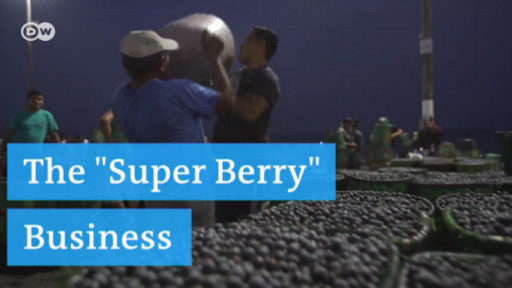 The berries have also gained an international reputation as a superfood. Employing sustainable methods to raise and harvest them helps protect the rainforest. An organic smoothie producer and a boutique fashion store are among Western businesses whose supply chains are tainted by illegal deforestation in Bolsonaro's Brazil. Germany and Brazil have a long history of partnering on environmental protection. But President Jair Bolsonaro's stances on Brazil's indigenous people and their lands threaten the progress that has been made. There is growing global demand for acaí, an Amazonian berry with super powers so great that if grown sustainably, it can protect the rainforest while simultaneously being an economic boon. Suely Araujo accused far-right President Jair Bolsonaro of making "baseless accusations" about the agency's budget. Bolsonaro wrote in a tweet that the environmental agency "financially violated" Brazilians.